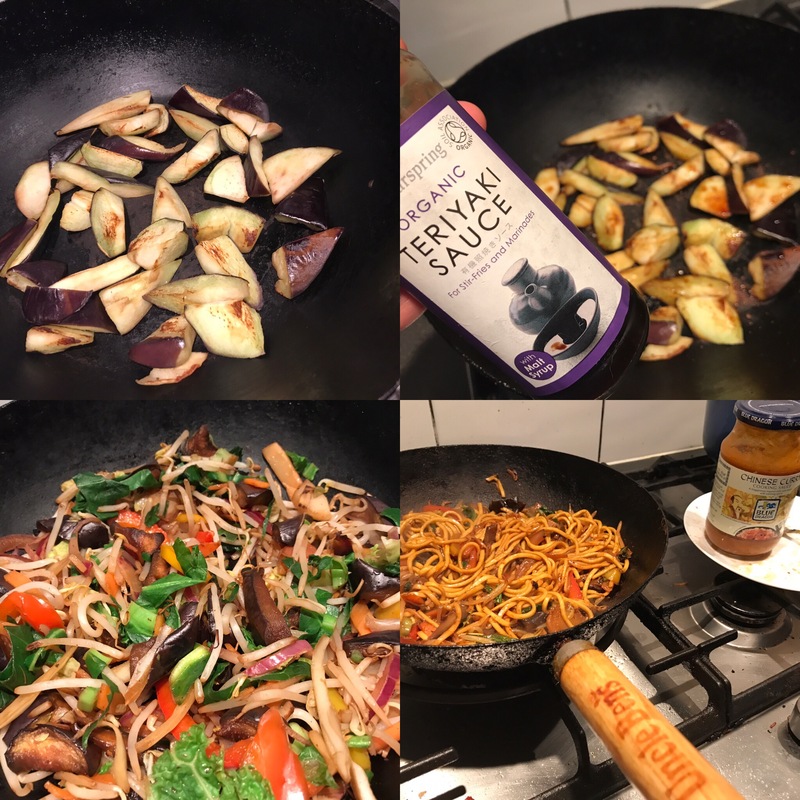 Home › Dinners/Suppers › Teryaki Aubergine stirfy Chine-easy curry sauce noodles … speedy tasty an vegan! Well there you go.. a bunch of words in that title.. I really get a hankering for Chinese style foods.. yet often really disappointed when i go and score some from the takeouts nearby.. and trust me I have tried most of them in a fever style want! Sure sometimes you get a result yet too often a poor hit.. So to fix this issue? 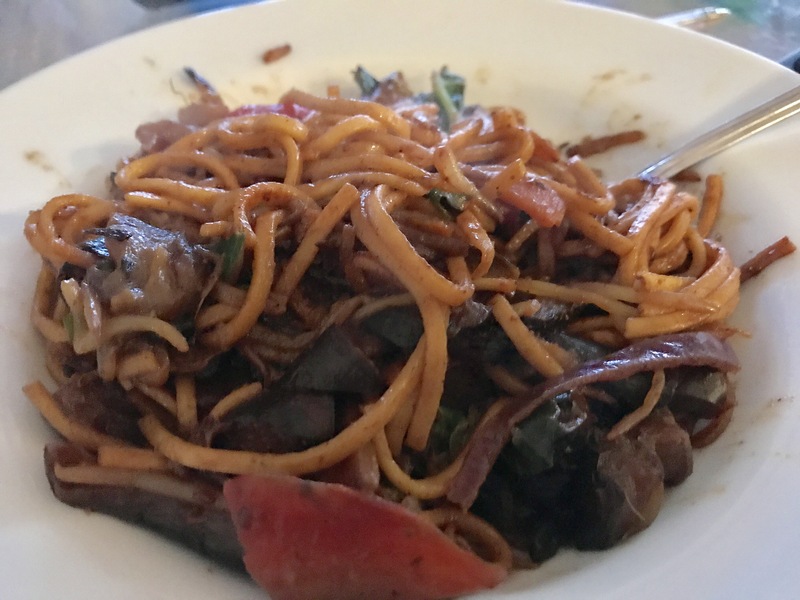 Feck it.. make’em..
Then organic teryaki shaken over..
A bag of store bought veg stuff..
store bought fresh noodles , ok I could have soaked some.. nah..
Pics to help you understand what I am trying to type maybe? ‹ Wild garlic jerseys, spring lamb choppies, purple sprouting broccoli.. bye bye winter!